All on board for the Tequila Train celebration of Día de Muertos. Is your ofrenda ready? Institutions across the Bay Area are preparing to celebrate Día de Los Muertos, the Latino tradition that honors the memory of people who have passed by welcoming them back to earth, with feasting, music and dancing. Next week, notable chefs from Oaxaca and award-winning musicians from Veracruz will team up with local cooks and performers for authentic culinary and cultural experiences across the Bay Area. 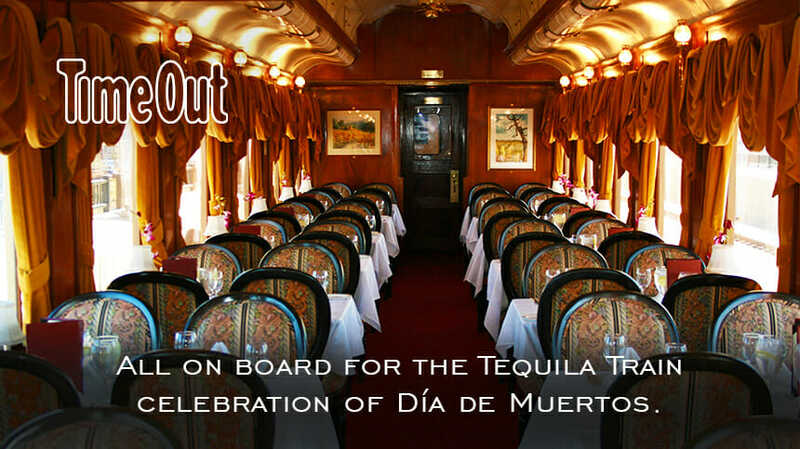 One of the events for this celebration is the One-night-only Tequila Train. Festive decor and a live DJ will set the mood for the 4-course menu designed by chef Enrique Olvera’s Criollo, featuring traditional Mexican dishes paired with a few signature cocktails made with Tequila Casa Dragones Blanco, followed by Blanco on the Rocks and Tequila Casa Dragones Joven for a closing toast.